​​Christmas, Hanukkah, and other Holiday celebrations hold different meanings. To the Christian, Christmas is the celebration of the blessed birth of Jesus. Santa Claus and his Reindeer delivering gifts has become an essential component of celebrating Christmas, especially to young children, Hanukkah commemorates the rededication of the Holy Temple (the Second Temple) in Jerusalem at the time of the Maccabean Revolt against the Seleucid Empire and is observed for eight nights and days and is also known as the Festival of Lights. Hanukkah is celebrated with a nightly menorah lighting, special prayers and fried foods. Kwanzaa honors African heritage in African-American culture, and is observed from December 26 to January 1, culminating in a feast and gift-giving. Eid Al-Fitr is celebrated at the end of Ramadan (a month of fasting during daylight hours), and Muslims usually give zakat (charity) on the occasion. The common thread -Celebrations are part of every culture and every religion. To the cancer patient and their family, celebrations can be depressing and stark – the cost of cancer treatment is costly, often the family is unprepared emotionally and financially to celebrate and provide gifts because of the exorbitant cost of medical bills. 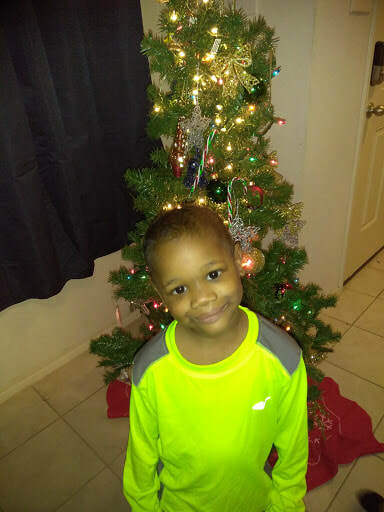 3 year old Jeremy diagnosed with Leukemia in Dallas, TX. 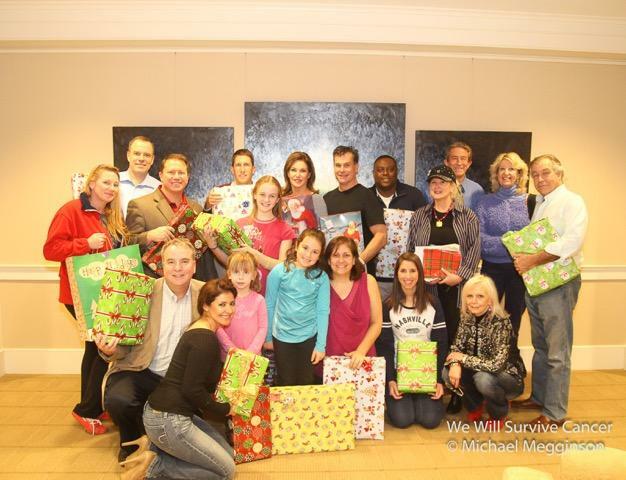 ​In 2009, We Will Survive Cancer (WWSC), began a "The Making Spirits Bright" campaign, to offer financial assistance to cancer patients and their families in need, who might otherwise not experience the holiday season. WWSC recognized that the burden of expenses that arise from the cost of treatment of cancer make it difficult, if not impossible to provide extras for their family. We Will Survive Cancer began to reach out to cancer facilities (Life With Cancer, in Virginia, was the first organization), to find families in need. We asked the facility to provide us with a wish list from each member of the family. 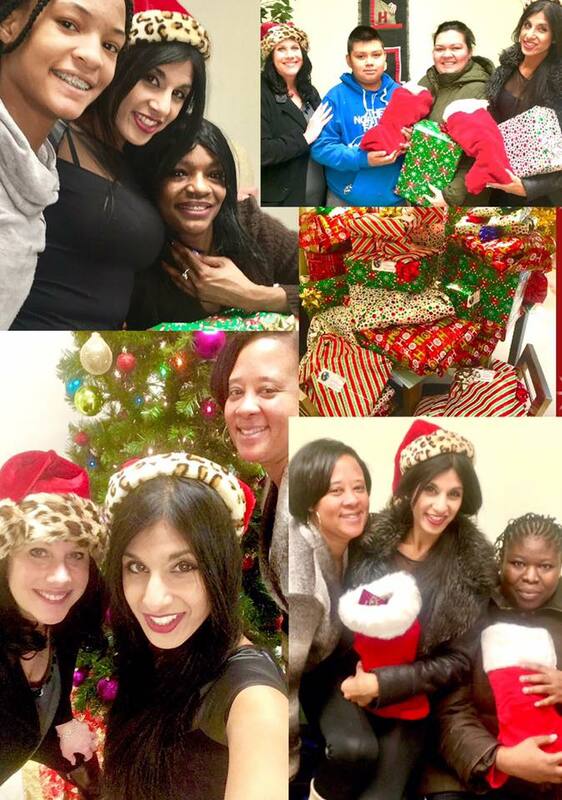 We shopped for, wrapped and delivered gifts to the families. WWSC’s first year we could only provide gifts including grocery and gasoline cards to two families. In 2016, WWSC expanded the number to 55 families equaling 176 people - we were able to include additional facilities – Howard University Cancer Center, Virginia Oncology in Norfolk, the Children’s Hospital in DC, The Breast Cancer Center in Virginia and, a precious 3-year-old boy diagnosed with Leukemia in Dallas, Texas. In 2016 we supported families with a total of 9 children diagnosed with cancer, more than double the number of children from previous years. This holiday, 2017, WWSC expects to double the number of families we support. This will be our first year raising money for families in the Austin area where it all began with Michelle Tull Bynum. So far WWSC is on-board for families from Life With Cancer, Howard University Cancer Center, Virginia Oncology in Norfolk and military families from Operation Renewed Hope, . Walter Reed Hospital and the USO WWSC is thrilled this year to expand our assistance to military families living with cancer. 3 year old Mia as a Princess. Sher shopping for "Making All Seasons Bright." Cancer was something I had seen effect multiple friends on many occasions, but up until June of 2012, it had not affected me personally. The day I learned of my father’s diagnosis is a day I will never forget. The words “Rare” and “Advanced” co mingled with “Aggressive” and “In-operable” and we knew our time with him was short. Sadly, we lost Dad only 20 days later, and cancer suddenly became my nemesis. The following November, I was unexpectedly reunited with my high school sweet heart, Brad Bynum, who had lost his loved-one to breast cancer just 18 months prior to my father’s passing. His wife, Michelle Tull Bynum fought the good fight for 6 strong years, leaving behind a legacy of support for others who were going through the same as she, by raising over $250,000 for the Susan G. Komen foundation in Austin Texas. She also left behind a beautiful young son, Reid Tull Bynum; Brad was now raising him on his own, to be loving, kind, strong, and resilient. As you might imagine, the three of us quickly formed a very special bond, and have now been a family for the last five years. We have shared many blessings, and many memories of those we believe paved the way for us to find each other (My father, Wallace Ingram, and Reid’s mom, Michelle Tull Bynum). I hope you will consider joining us in “Making Spirits Bright”. Even the smallest donation makes a world of difference. May the spirit of giving bring peace and joy, to you and yours this holiday season, and always. 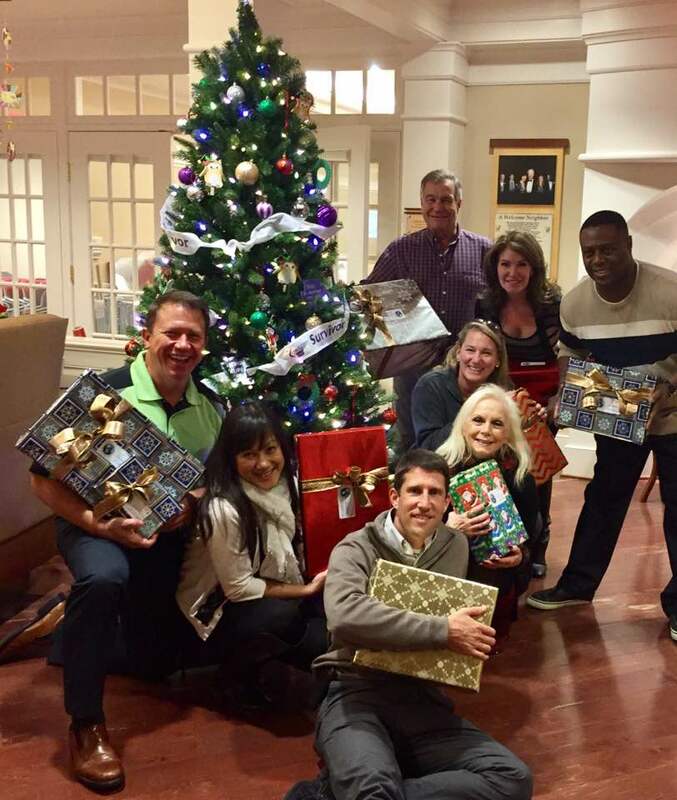 “Making Spirits Bright,” supports families in need during the Holidays. 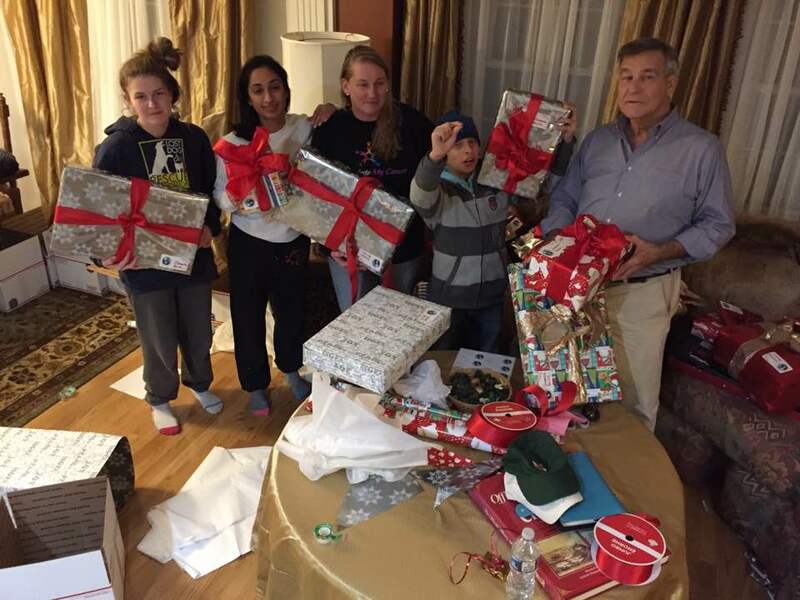 Experiencing joy through the eyes of families that would otherwise not have Christmas delineates its true meaning. Please join in our effort to enrich the lives of these families in need – help us in “Making Spirits Bright,” this Holiday Season.